FRANCONIA >> With his squad down 17-6 after five bouts, Robert Shettsline’s forth Penn wrestling team needed a spark. “It was nice…Will Laughlin got a pin there and Eric (Laughlin) came back and got two; (he) just gave them a minor decision instead of a major…The pins really helped us out there.” Shettsline said. The Laughlin pin at 138 pounds, which was preceded by a Ryan Vulakh pin at 132, gave the Knights an 18-17 lead they never relinquished. In all, North Penn recorded four pins to earn a 49-23 Suburban One League Continental Conference victory over Souderton Wednesday. Despite a Tyler Leidy pin at 285 for North Penn (13-3), which is where the match started, it was Souderton who sprinted out of the gate. Tyler Williams earned a tech fall at 106 and Harrison Andrade followed that with a decision victory for the Big Red wrestlers. The big victory in the match for Souderton (6-9) came from Brandon Bach, who beat Sofiane Bensmail on a 3-1 decision at 126. Bach tallied all three of his points in the final period. The biggest point earner for Souderton was Josh Baker, who earned a pin at 170. Aside from the pins from Vulakh and Laughlin, the key bout for North Penn was a 4-0 decision from Colin Shannon over Thomas Michaels. 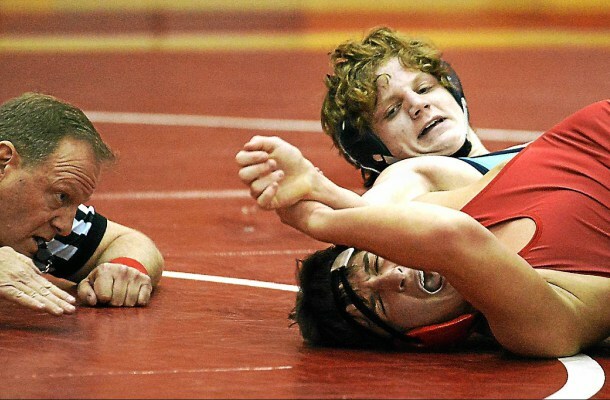 Shannon is ranked third in the district at 152, while Michaels is ranked fifth in the same class for Souderton. 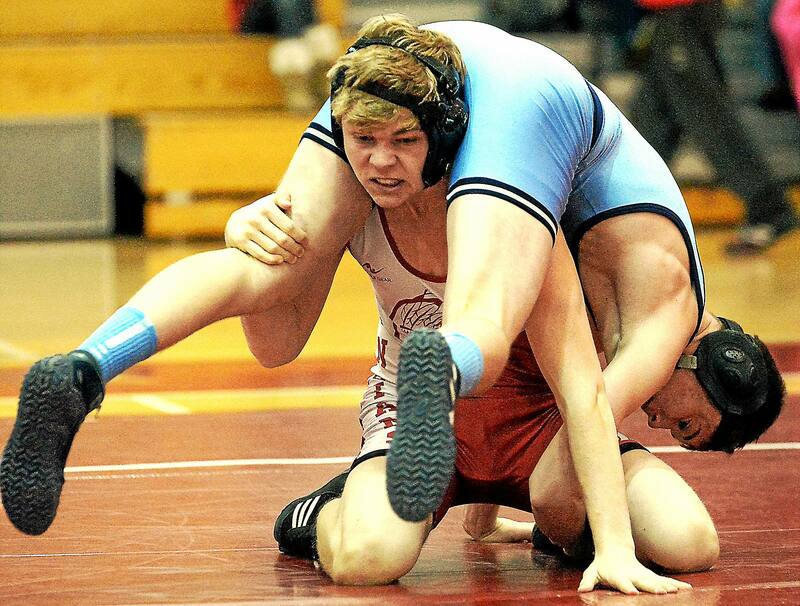 North Penn took the team points in eight of the final nine bouts, which included a pin from Mike Gallagher at 182. The Knights begin the District 1-AAA dual tournament Thursday as the fifth seed and take on No. 12 West Chester Rustin 5:30 p.m. at Rustin.